" Don't compare your chapter one to someone else's chapter 10" As cheesy as it sounds, it is true and very apparent in the blogging world. It is so hard not to compare yourself to other bloggers when we are constantly bombarded with all these successful and young stars who have made it big in the blogosphere. The blogging world is competitive, yes, but it doesn't me your can't make your mark in it either! Today I thought I would share with you some simple and useful, little tips that I use to help me keep on track and not worry about comparing myself to other bloggers. Enjoy! It is very easy to focus on the future, your goals and aspirations. It's so easy to forget actually how far you have come. Think about all the terrible mistakes you made at the start, the poor quality of your photos and just how bad you were at utilising those social media platforms. Go back and have a read of your first blog post! Pretty terrible right?! 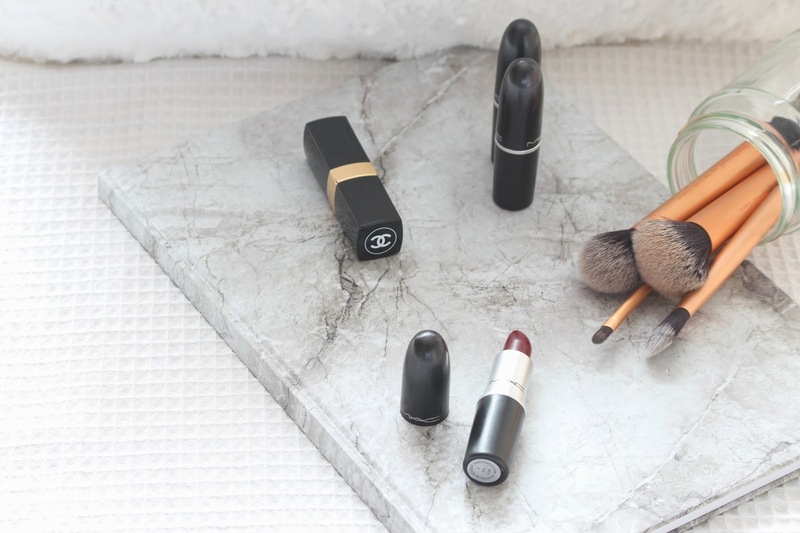 You don't have to start off by reviewing Mac lipsticks to be successful. It's okay! Now yes, there are bloggers out there that went viral due to one blog post but it is highly unlikely that that will happen to the majority of us. It's all about time, commitment and dedication. Producing content that not only is useful and informative but something that you are passionate about, will bring in the punters, as they say! Success takes time as well as knowledge about the field. Knowing how to successfully promote your blog and knowing about things such as SEO etc. Will all add up to help you achieve. Although you may envy other bloggers photos, ideas or content, most people envy their numbers, stats and analytics. I know I am very guilty of doing this! It can be so frustrating when someone can gain 100k followers a year but you haven't gained any in the last month. But that's okay! I have learnt that it is so much more important to have a good relationship with your readers then to treat them all as numbers! Uploading content that you are proud of is the utmost important thing in blogging!! And that's it! I hope you have enjoyed these tips! They are only small, little things that you can use to remind yourself that you are doing okay and there is virtually not point in comparing yourself to other bloggers!!! Do you do any of these things?! If not what do you use to stop you comparing your blog to someone else's?! Let me know in the comments below! I'm so guilty of this and I need to learn to stop! This tips are a great start - Thank you! I'm definitely guilty of most of these, especially the stats! These are such great tips! Sometimes its so hard to not compare yourself! Such great tips. I definitely feel the need to compare sometimes, but I try to remember to be myself, post what I would want to read and maybe others might like to read it too! Fab tips, I think we all need to tell ourselves these things once in a while! Especially the point about not worrying too much about numbers, even though I'm definitely guilting of doing that. I think every blogger known to man compares themselves with others, but it's such a great post! I compare myself to others all the time but I think the tips you shared will come in great use for me! Really enjoyed reading this post, as always! I used to compare myself to other bloggers quite a lot but I've learned that success indeed takes time, like you mentioned, and it requires a lot of effort. Now I'm just focusing on making myself feel good about my blog and I feel that's really all that counts! Really great tips, I especially like number one as I think it is easy to forget what you've already accomplished with your blog. This is the first time I actually reflect how far I have come in my blogging journey. All the cringy worthy posts and photos. It can be really difficult sometimes to see how much you have improved. Great tips! My Nan used to tell me "comparison is the thief of all joy" and she was spot on. You get nothing out of comparing yourself to other people (although I think it takes a while to learn this - it definitely did for me). Love #2 - hard work and making sure you're proud of what you do is the most important thing! Great tips! I need to take them all on board :) I'm so bad at comparing especially when I started. Great post ! I found myself often trying to compare to others...well I used to now I try to concentrate on my blog and not too worry about others that much, not always easy! This post was very very helpful, I am always guilty of being envious to other bloggers as I always feel inadequate.